Earlier this January, Michael Salazar was anxiously sitting in the audience for the 2016 MLS Superdraft at the Baltimore Convention Centre, waiting for his name to be called. Seats were emptying as one whole round passed and 23 players had their names called by Major League Soccer teams. The Montreal Impact was now on the clock with the 24th pick, looking to make their next selection. The 23-year-old wasn’t the only nervous member of the Salazar family that day. His mother, who had flown in from his native Belize, also had a hard time staying seated. “She was waiting and waiting, for a second she thought I wasn’t going to get called at all,” Salazar said. MLS vice president Todd J. Durbin then walked up to the podium. Salazar jolted from his seat and gave a big hug to his mom, and then his college coach Tim Cupello, who was wearing a blue and yellow UC Riverside Highlanders scarf over his suit. “Have fun, enjoy the moment, but then get back to work because now is when the challenge really occurs,” Cupello told the new draftee. Following what felt like the longest walk of his life, Salazar was given an Impact scarf and walked toward the podium to give a speech in front of friends, fans, new employers and family. “By the time I got to the stage, I forgot every single word,” he recalled. Born in the Cayo District of Belize, Salazar did not have the opportunity to have his immediate family around to watch him play. 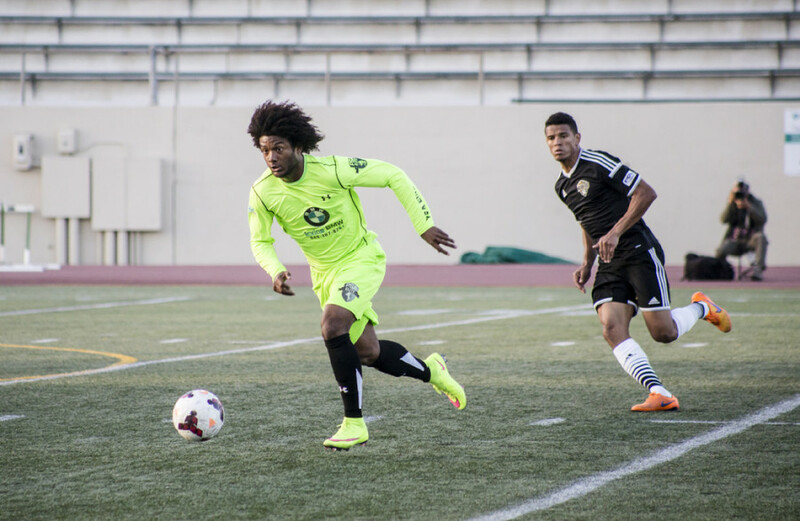 He moved to the U.S. to pursue his education and his goal to make a living playing soccer. While Salazar delivered his speech at the draft, the video he is known for rolled on ESPN’s draft coverage. It featured a goal he scored with PSA Elite, an amateur team in California, in the fourth round of the U.S. Open Cup, a competition open to all teams in the United States. 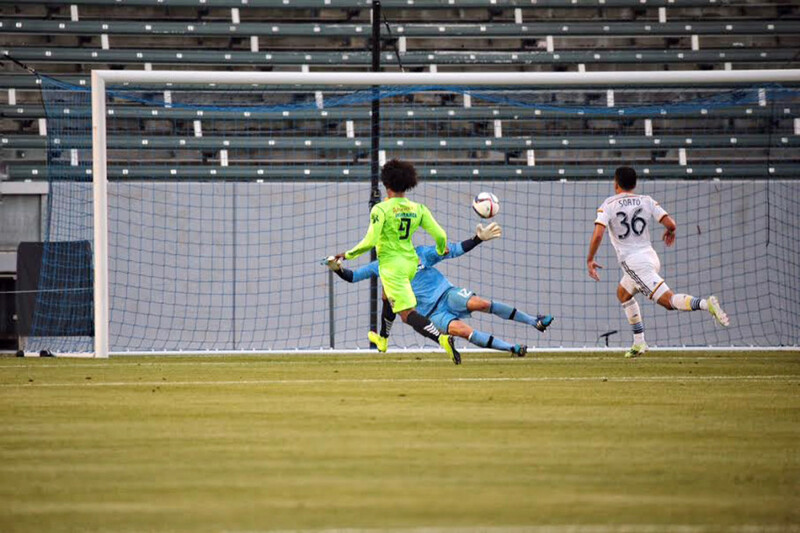 Salazar managed to give his team the 1-0 lead against the MLS reigning champions LA Galaxy. 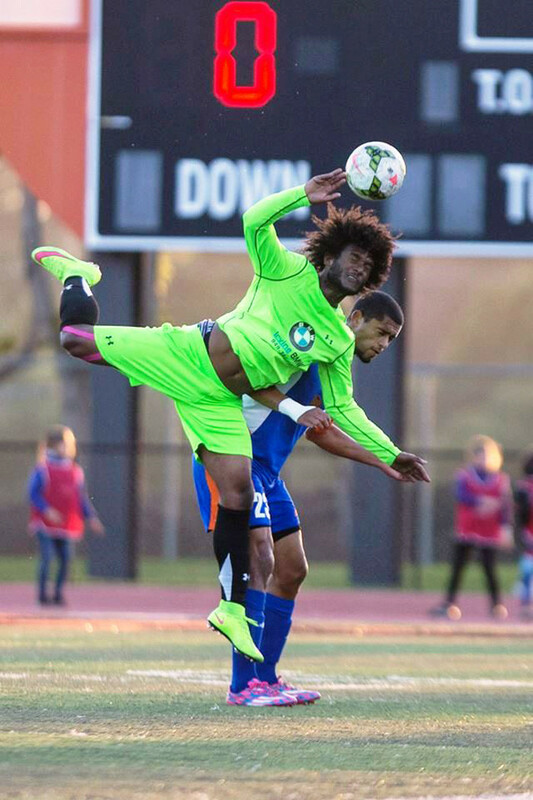 “The goal he scored, we had practiced all week,” said PSA Elite head coach Jon Spencer. “We ended up playing the ball out wide off their weak side … From my perspective I remember him saying: ‘Man! What we were talking all week, it worked!’ There was a little bit of shock,” Spencer said. PSA Elite ended up losing 6-1 to the Galaxy, but Salazar was named the Lower Division Player of the tournament. Salazar also had the chance to play for his country while in college. In 2013, Ian Mork, who was the Belize national team manager at the time, called him up to join camp in preparation for the Gold Cup, the continental championship regrouping North and Central America as well as the Caribbean. Mork recalled when Belize played the U.S. at Jeld-Wen Field in Portland, Oregon. Salazar stepped in at the 77th minute and got to share the pitch with American soccer legend Landon Donovan, a player he followed throughout his career. Mork, who now works as a technical advisor for the Northwest at the U.S. Soccer Federation, has spoken highly of Salazar to aspiring players. Back in Baltimore, Salazar wrapped up his speech before walking off the stage. Impact head coach Mauro Biello, technical director Adam Braz and the rest of the coaching staff then greeted him. After exchanging handshakes, he told them about forgetting what to say on the stage, thanked them and said he couldn’t wait to start training with the team. It was a long journey for Salazar, who now awaits his turn to suit up for the Impact at Saputo Stadium. But the lifelong dream of playing the beautiful game for a living has taken one big step towards fruition.